Ala.Ni is giving audiences yet another taste of her debut album You & I.
V Magazine unveiled the brand new video for her latest single ‘Circle,’ Wednesday. The song is take from her new album. The video, shot partly in black and white, takes audiences into the serenity of a quiet forest setting as Ala.Ni performs her new equally calming single. Along with the video, an interview with Ala.Ni is also presented at V Magazine’s website. She discusses a variety of subjects during the interview including the inspiration for ‘Circle,’ its companion video, her dream collaborations, what interested her in music and more. ‘Circle’ is just the latest taste of You & I that has been presented to Ala.Ni’s fans. The album premiered in its entirety on National Public Radio’s First Listen series ahead of its release this summer. The organization premiered her intimate Tiny Desk concert last week, which featured guitarist Marvin Dolly accompanying her on his birthday no less. The organization also recently featured on its World Café program, a live performance from Ala.Ni recorded at the 2017 NonCOMM Convention at WXPN in Philadelphia. That performance was also accompanied by its own interview with Ala.Ni by World Café host David Dyer. As if all of that is not enough, Ala.Ni also recently appeared on BBC Two’s Later…with Jools Holland to perform ‘Cherry Blossom,’ yet another song included in You & I.
Ala.Ni will embark on her first North American tour in October alongside Son Little beginning Oct. 18 in Asbury Park, N.J. in support of You & I. The tour is currently scheduled to run through Oct. 27 and includes dates in Asheville, North Carolina; Cambridge, Massachusetts; Pawling, New York and a handful of other cities. The tour’s current schedule is noted below. National Public Radio is giving audiences another chance to experience up-and-coming jazz artist Ala.Ni live and for free. Ala.Ni recently stopped by NPR’s studios to perform in house as part of the network’s Tiny Desk concert series. She was joined by guitarist Marvin Dolly for the intimate performance. The concert was in support of her new album You & I, which NPR recently made available to stream in full on its First Listen. Ala.Ni’s new performance comes not long after she sat down for an interview on NPR’s World Café. That interview included a live performance by Ala.Ni at the 2017 NonCommvention at WXPN in Philadelphia. Host David Dye discussed Ala.Ni’s new album during the program along with the influence of her life on the album’s songs. That interview is streaming online here. 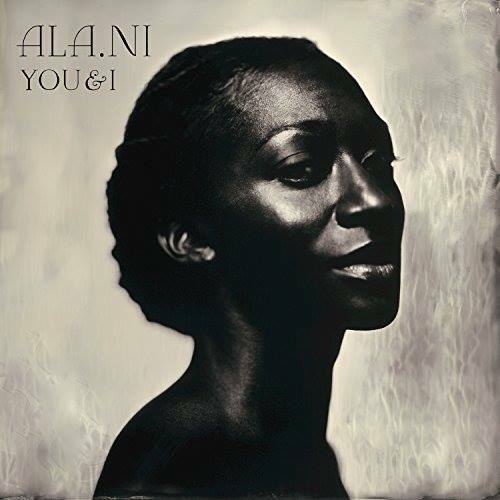 Ala.Ni will hit the road this fall in support of her new album beginning Oct. 18 in Asbury Park, NJ. The tour’s current schedule includes performances Asheville, NC; Annapolis, MD; Cambridge, Massachusetts and other cities nationwide. The tour’s current schedule is noted below. Ala.Ni will make her North American tour debut this fall. The British-born, French-based singer announced this week she will join Son Little for a short string of live North American dates beginning Oct. 18 in Asbury Park, NJ. The schedule, which is in support of her debut album You & I, runs a little more than a week, includes performances in Asheville, North Carolina; Pawling, New York; Annapolis, Maryland and a handful of other dates. It ends Oct. 27 in Atlanta, Georgia. The full tour schedule is noted below. Also in support of her new album, National Public Radio presented an interview featuring Ala.Ni on its World Café program that can be heard here now. The up-and-coming singer discussed with host David Dye the inspiration behind the songs featured on her new album, her life in music and more. If that is not enough, audiences can also view one of Ala.Ni’s live performances of her song ‘Cherry Blossom’ taken from BBC2’s hit program Later…with Jools Holland now. Earlier this month MVD Visual and Mugshot Productions partnered to release the new hybrid music documentary/concert recording Zydeco Crossroads: A Tale of Two Cities. The presentation, released in coordination with Philadelphia, PA-based NPR station WXPN, is one of 2016’s top new music documentaries and concert recordings. The presentation fits into both lists because it is in fact a full-on hybrid work. That hybrid presentation of the program is just one part of what makes this program so interesting. The information and entertainment presented in each portion of the main feature are just as important to the program as its overall presentation. It also features a full fifty-five minute concert presentation from Rosie Ledet and others complete with interview segments mixed in as a bonus for audiences. That concert and its interview segments collectively round out Zydeco Crossroads: A Tale of Two Cities and make it such an interesting watch. Each element is important in its own right to the whole of this program. Altogether they make Zydeco Crossroads: A Tale of Two Cities a wonderful follow-up to Robert Mugge’s previous Zydeco documentary The Kingdom Of Zydeco and an equally impressive presentation for any lover of not just zydeco but of music in whole. 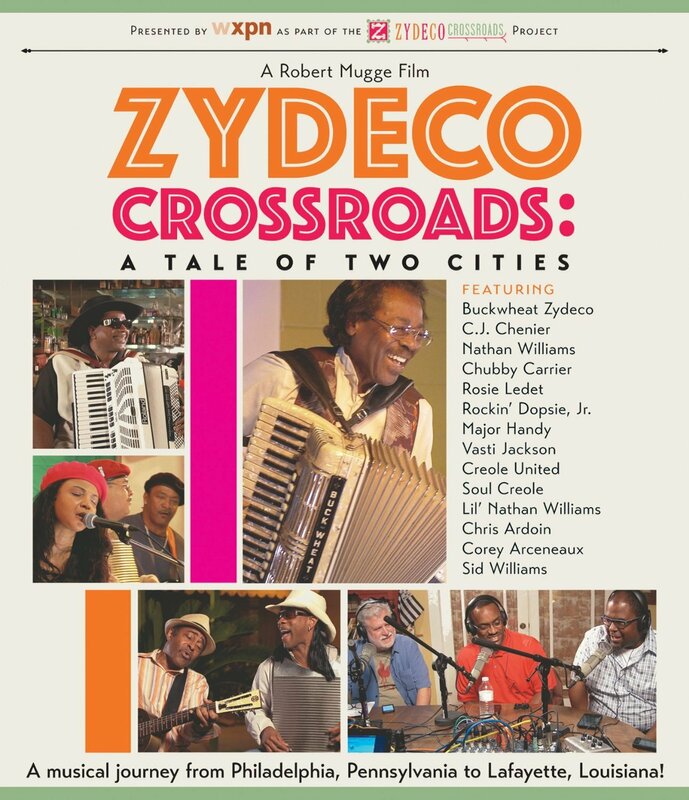 MVD Visual and Mugshot Productions’ new hybrid documentary/concert recording Zydeco Crossroads: A Tale of Two Cities is an impressive follow-up to Robert Mugge’s previously released zydeco documentary The Kingdom of Zydeco. It is also one of the year’s best new music documentaries and new concert recordings, being a hybrid presentation. The program’s documentary portion isn’t just another extended history lesson told by academics and others. Rather it presents just a piece of zydeco’s rich history through first-hand interviews with a handful of figures that helped to form the genre’s foundation. That’s just the beginning of what makes the program’s documentary side so interesting. There is also an equally interesting lesson on the difference between zydeco music and Creole music in one of the noted interviews. Even this critic will admit to not knowing that there was a difference between the two before watching this program. Others will be just as interested to learn of the instrumental and stylistic differences noted between the two sounds. One mixes blues, R&B, rock and other elements into one creation while one is much purer in its approach, using just one style and a very limited instrumentation. For anyone that has always enjoyed Creole and/or zydeco but never really known the difference, this discussion makes for a great starting point in researching both genres and learning even more about them over time. The history lessons work hand in hand with that music theory lesson to form a foundation for the program that in turn makes its documentary side doubly strong. There is much more that could be noted in terms of the program’s documentary side that makes the program so enjoyable. That includes but is not limited to the difference between a button accordion and a keyboard accordion, and the role of family roots in zydeco bands. That will be left for viewers to discover for themselves. Regardless of which piece of information viewers find the most interesting here, it can be said of the documentary and its approach work together to make this portion of the program enjoyable in its own right. It isn’t the only notable portion of this latest feature from Mug Shot Productions and MVD Visual. The program’s concert recording portion is just as notable as its documentary presentation. Zydeco Crossroads’ documentary presentation is in itself plenty of reason for music lovers and lovers of zydeco to check out this latest feature from Mug Shot Productions and MVD Visual. It is only one portion of the program’s main presentation that makes it so interesting. The concert recording that is interwoven into the program is just as notable as its documentary. It is so interesting to watch because it isn’t just one single concert. Rather it is a number of performances by various zydeco and Creole acts and artists. The performances in question are held in a trio of well-known venues in downtown Lafayette, Louisiana. There are also a few performances presented from WXPN’s Zydeco Crossroads concert festival in Philadelphia. The performances themselves are entertaining. The organization of the concerts—first in Philadelphia then in Lafayette—gives them even more impact. As is noted by the WXPN staff this was done intentionally so as to show where zydeco and Creole music’s roots rest. It also explains why the latter performances received more attention than the bigger show in Philadelphia. One can only hope that as enjoyable as WXPN’s concert seemed to be from the few presented performances, the concert will be presented in whole in Mugge’s next presentation. Yes, that is a direct hint to Mr. Mugge should he read this. Speaking of full concert presentations, the full concert presentation from Rosie Ledet and company that is included as a bonus with the program rounds out the program’s most notable elements. The dual presentation of Zydeco: A Tale of Two Cities is in itself plenty of reason for audiences to view this latest presentation from Mug Shot Productions and MVD Visual. The history presented by the program’s documentary and the performances set alongside that history, are just as interesting to take in. While these elements are each important to the whole of the program they are not the program’s only notable elements. There is also a complete fifty-five minute performance from Rosie Ledet included with the program as a bonus for audiences. The performance is broken up via interview segments with Ledet and World Café host David Dye. Through the interview segments audiences learn about Ledet’s own personal experiences and influences in the zydeco community. Viewers also learn in her discussions with Dye a little bit about how her personal life intersected with her professional life and much more including the prominence (or lack thereof) of female performers in the zydeco community. Both halves of the concert’s whole come together to make it live up to the title of “bonus.” Together with the two halves of the program’s main presentation and the presentation’s very dual presentation, the bonus concert rounds out the program’s presentation and solidifies its title as one of the year’s best new music documentaries, and one of the year’s best concert recordings.